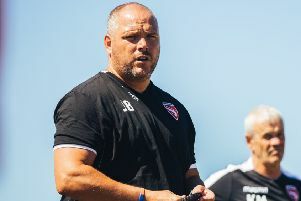 Morecambe took another step towards League Two safety after picking up their third consecutive home win. Substitute Liam Mandeville proved the matchwinner at the Globe Arena, heading home Zak Mills’ cross in the 82nd minute for his first goal since scoring the winner at Grimsby Town in September. It lifted the Shrimps to 18th in the table, nine points clear of the bottom two with half-a-dozen games left of the season. Most of the first-half action was centred on Roche’s goal with Crawley the likelier of the two sides to score. Joe McNerney and Tom Dallison headed corners off target, while Roche kept out a low shot from Ashley Nathaniel-George after he had cut inside from the left. A more even second half saw both sides generally fail to impress, though a poor playing surface did not help. 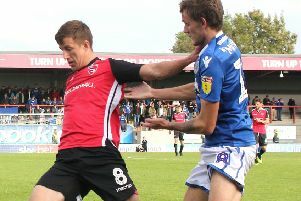 Maguire and George Francomb sent efforts off target, as did Morecambe winger Piero Mingoia at the other end. Morris easily held a Mandeville effort but, moments later, was powerless to prevent the substitute from heading home to settle matters.